The latest installment in the "Call of Duty" video game franchise goes on sale next week and those that need to be first in line will have to head to Walmart. The retail giant is selling "Call of Duty: Advanced Warfare" 24 hours before its official release, a move that could undercut competitors when it comes to sales of the blockbuster title. The first 24 hours of sales have proved record-breaking for earlier versions of the first-person military shooter. In 2010, "Call of Duty: Black Ops" blasted entertainment records by raking in $360 million in its first day on sale. Two years later, its sequel, "Call of Duty: Black Ops 2," took in worldwide revenue of $500 million in that same time period. 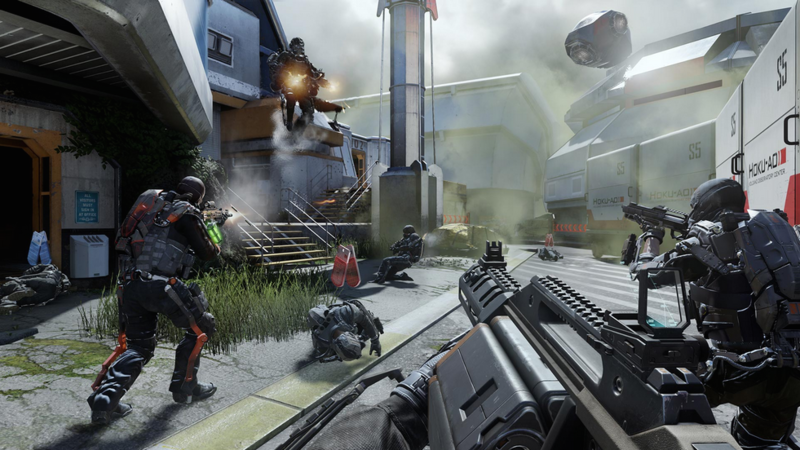 For its millions of fans, "Call of Duty" launches amount to a holiday each year. Walmart is likely banking on its popularity to attract gamers who might otherwise go to Amazon.com or GameStop. Wal-Mart Stores Inc. says the game will be available at its stores starting at 12:01 a.m. on Monday, Nov. 3 for $60. The move is timed to coincide with Walmart's announcement that it has started selling used games in 1,700 of its stores. The retail giant started taking used games for trade in March, in exchange for gift cards.